Let's be real. If you could, you'd probably have cheese for every meal. It's that addictive/delicious/happiness inducing. While that's probably frowned upon, there's no shame in wanting to squeeze in as much cheese as humanly possible. Enter these five ridiculously cheesy recipes by Beemster, which prove you can add cheese to pretty much any dish and make it taste amazing. Case in point, cheese soup. 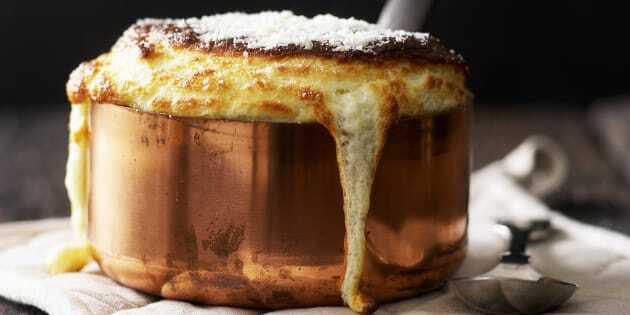 And cheese soufflé. We know what you're thinking: you've got to Brie kidding me. I just Camembert it. 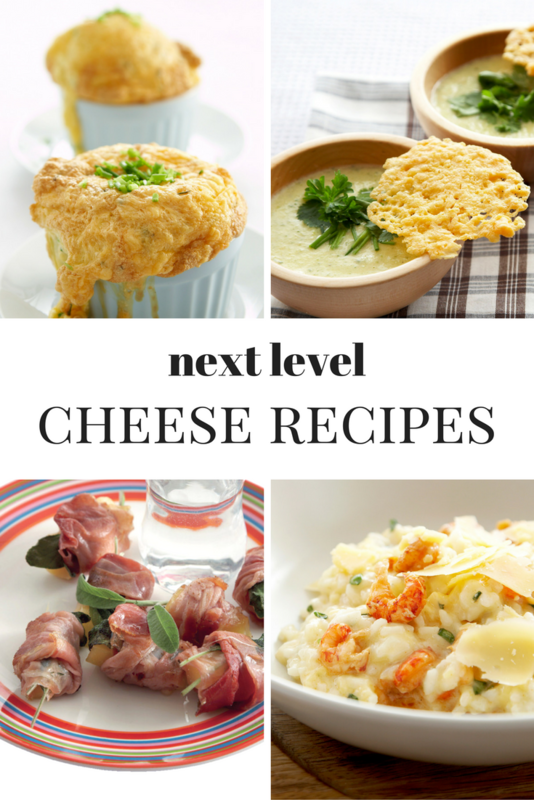 These recipes are so Gouda, but they'll make me Feta. Sorry for the cheesy puns. But really, aren't they grate? Bored of making the same soup? Add cheese. Always add cheese. This creamy soup is full of flavour thanks to the fresh herbs, stock and two types of cheese, and would be a dreamy accompaniment to the other cheese recipes below. 2. Mix the grated aged cheese with the flour. Place a spoonful of the cheese mixture on a baking tray lined with baking parchment. Repeat seven times. 3. Bake in the oven for 3-5 minutes to form nice flat wafers. Leave the wafers on the tray to cool. 4. Melt the butter in a pan and lightly sauté the onion and zucchini for 3-5 minutes. Add the milk and chicken stock, stirring constantly. Bring to a boil. Reduce the heat and simmer for 10 minutes. 5. Use a blender to purée the soup until smooth and creamy. Stirring constantly, add the grated Gouda a little at a time until melted. 6. Season the soup with salt and pepper. 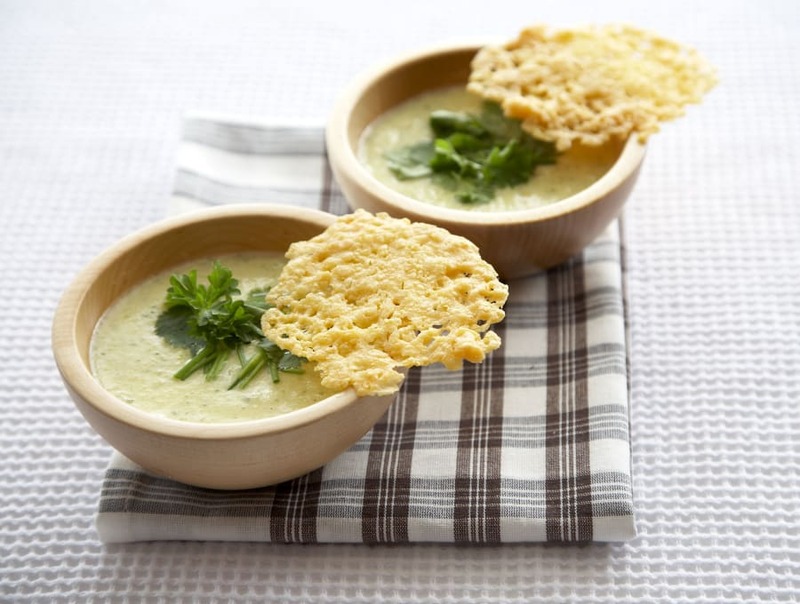 Serve the cheese soup in warmed soup plates or bowls and garnish with a generous amount of herbs. Place a cheese wafer on top and serve. Cheese soup with cheese wafers. Oh my. 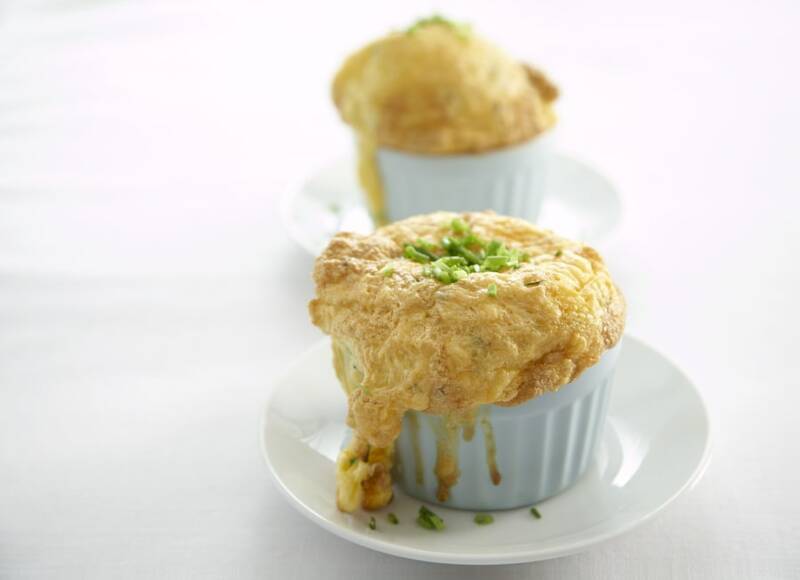 Quick, easy, cheesy, fluffy soufflé studded with fresh chives for that delicious onion flavour... surely this is the way to a person's heart. You might want to double this recipe. 1. Preheat the oven to 200°C. Grate the cheese coarsely. 2. In a clean bowl, beat egg whites until stiff peaks form. Fold the egg yolks, half of the cheese and the chives into the egg whites. 3. Grease four ramekins and fill evenly with the souffle mixture. Sprinkle with the rest of the cheese. Place the ramekins in the oven and bake for 6-8 minutes until the soufflés have risen nicely and are golden brown. 4. Sprinkle with the rest of the chives and serve with toasted white bread. Risotto is a classic Italian dish famous for its creamy texture. Gradually adding lots of Gouda makes this dish even more creamy, while the lobster, basil and chilli add freshness and fragrance. 1. Grate half of the cheese. 2. Heat two tablespoons of olive oil in a heavy-based pan. Sauté the onions until slightly translucent. Add the rice and keep stirring until all the kernels are coated and shiny. Pour in the sherry and let the rice simmer gently until the liquid has evaporated. 3. Add half of the chicken stock and let the rice simmer gently for 20 minutes until done. Stir regularly and keep adding a bit of stock whenever the liquid has evaporated. 4. Blend in the grated cheese and basil, and let the risotto rest in a covered pan for five minutes. 5. Heat one tablespoon of olive oil in a frying pan and sauté the lobster with the chilli powder for 2-3 minutes. 6. Use a parer to shave a few attractive curls off the flat side of the aged cheese. 7. 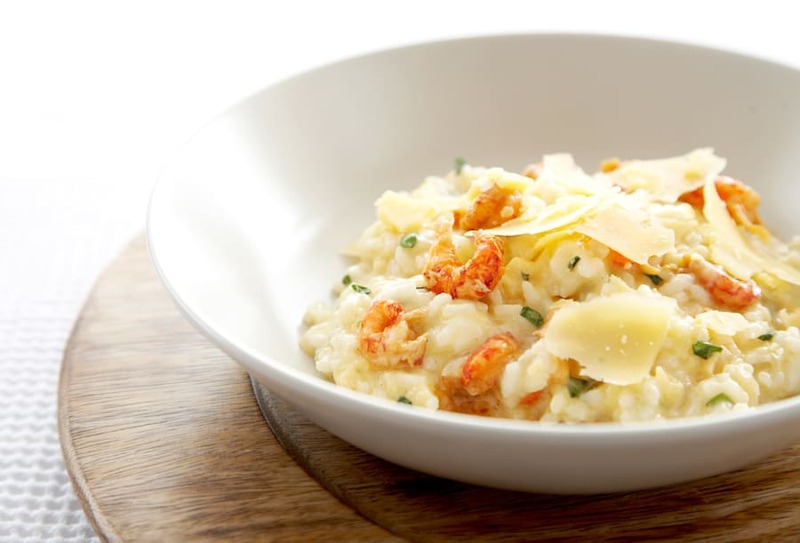 Spoon a mound of risotto onto four pre-warmed deep plates and top with equal amounts of crayfish. Garnish with the cheese curls. Don't go easy on the cheese. If you're hosting a little dinner (or just feel like making crostini), these easy, cheesy crostini with avocado puree are perfection. It's like smashed avo and cheese on toast, but fancy. 2. Cut the baguette into 1cm thick slices and place them on an oven rack. Brush with olive oil and bake for eight minutes until golden and toasted. 3. Halve the avocados, remove the stones and spoon the flesh into a bowl. Squeeze out the lemon juice and pour it into the bowl with the avocado. Use a fork to mash the avocado into a coarse purée. 4. Finely chop the shallot and parsley leaves and stir into the avocado purée. Season with salt and lemon pepper. 5. 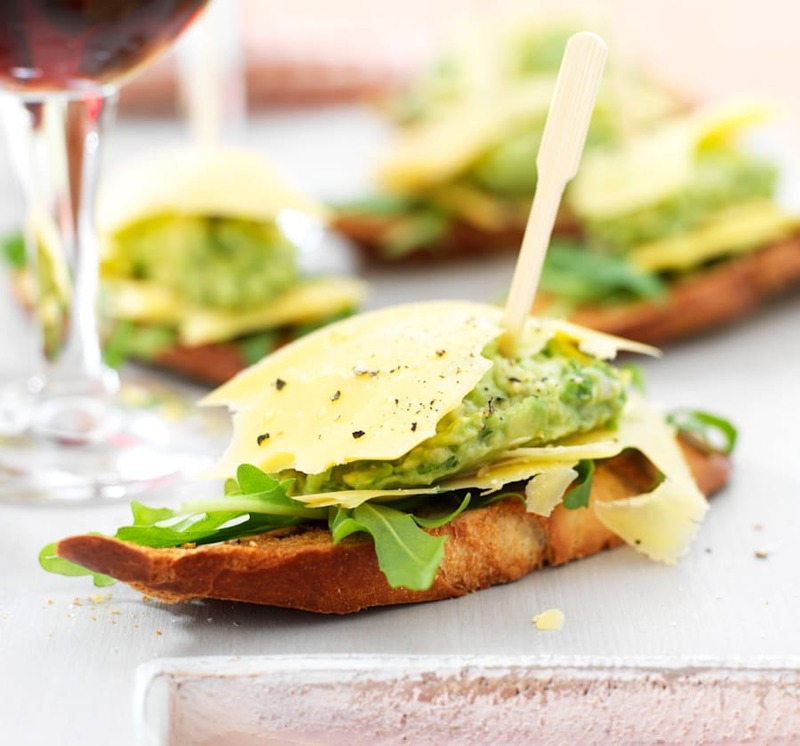 Arrange a few leaves of rocket on top of the toasted bread slices (crostini), place the cheese shavings on top of the rocket, then a spoonful of avocado puree and some more cheese shavings, finishing the crostini with salt and lemon pepper. Secure with a cocktail pick and enjoy. Making crostini doesn't have to be difficult. This is simplicity at its finest. Ham and cheese go together like peanut butter and banana, especially when the cheese is melted and gooey. Honestly, just the thought of soft cheese with smoky ham and fragrant sage is enough to make you drool. 2. Cut the Beemster Royaal in 10 equal cubes. 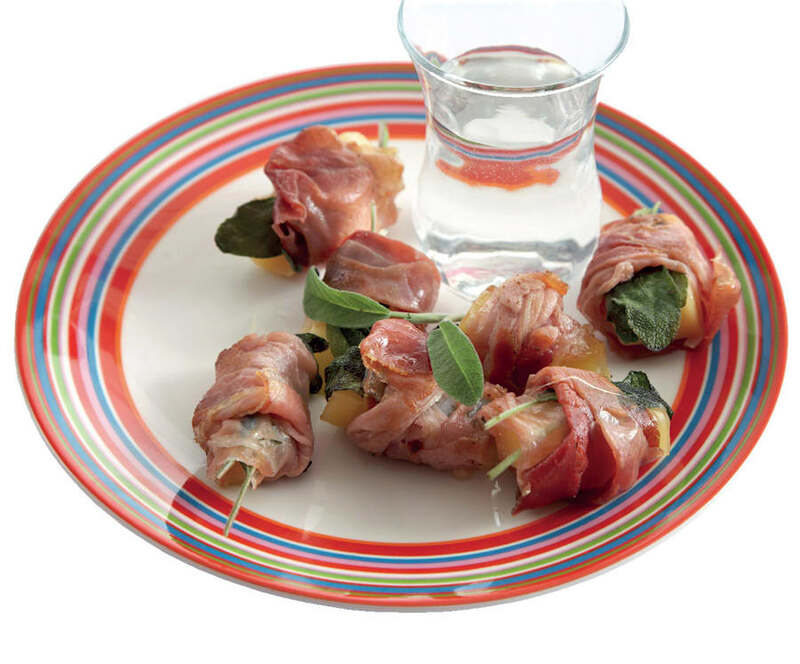 Place each cube on a sage leaf and wrap it up in a slice of raw ham. 3. Place the parcels on a baking sheet lined with baking paper and brush each parcel with a little oil. Place the baking sheet in the preheated oven and bake the parcels for 8-10 minutes until the ham is crisp and the cheese has melted.